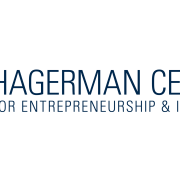 The Hagerman Center for Entrepreneurship and Innovation held its Summer Entrepreneurship Institute camp for the first time on July 12-14. High school juniors and seniors spent three days learning about multiple aspects of entrepreneurship, business, and marketing. The camp aims to help high school students understand entrepreneurship and the excitement surrounding new ventures that can solve real problems. Professor Amy Gresock, Assistant Professor of Management, said she hopes to challenge the students to think about entrepreneurship in a multi-faceted way. 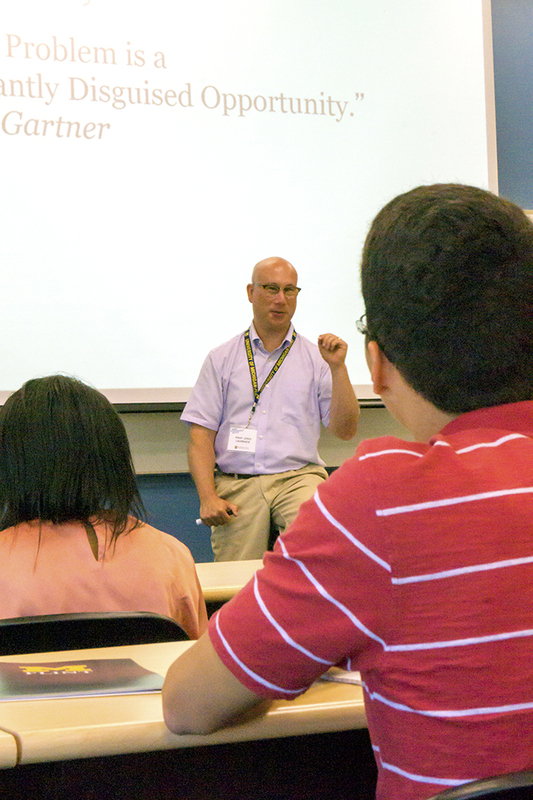 Professor Greg Laurence teaches summer camp students about the basics of Entrepreneurship. Students spent time with School of Management Professors Amy Gresock and Greg Laurence inside the classroom and in the community working to develop their entrepreneurial venture. During day one, students toured the UM-Flint campus looking for opportunities and quickly found that Flint has a lot of prospects for entrepreneurs. 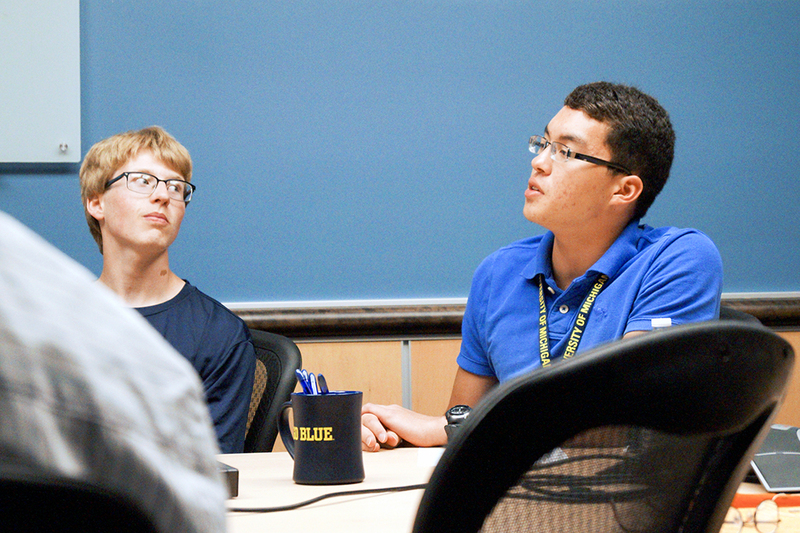 Sean Mason, a high school junior from Davison, said he appreciated the implementation of lessons learned during the Summer Entrepreneurship Institute. “I liked that it was hands on. I didn’t know exactly what to expect coming into it but I liked that after we learned something, we got to try it out,” said Mason. Sean Mason asks a question during a Skype interview with Chris Trejbal. The camp aimed to encourage entrepreneurial thinking by engaging students with course materials, community experiences, and a field trip to Skypoint Ventures in downtown Flint on the second day of the camp. 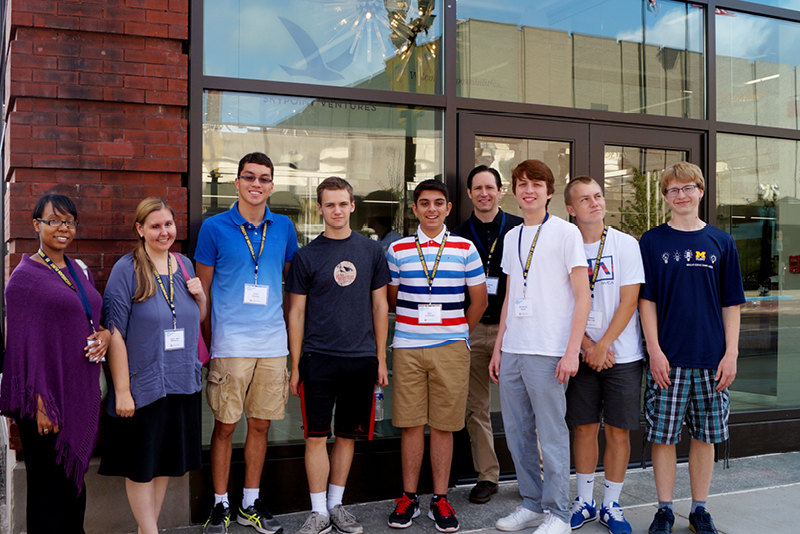 Interim Director of Hagerman Center for Entrepreneurship & Innovation and camp organizer, Professor Brian Blume, said he believes the Summer Entrepreneurship Institute was an engaging experience for the high school students. Summer camp students tour Skypoint Ventures. 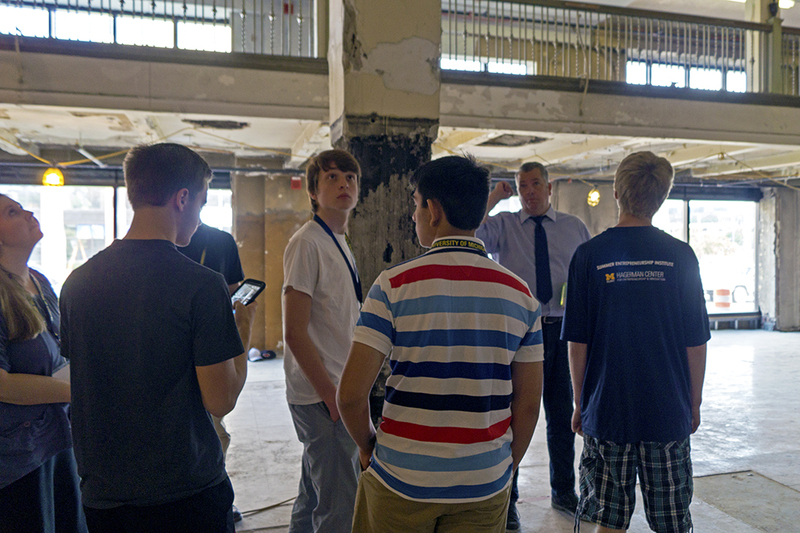 Bryce Moe, Managing Director of Skypoint Ventures, shows students a portion of the Dryden building that is under renovations. On day three, the students wrapped up their work and learning by presenting their feasibility analysis projects to fellow students and their parents. Mason said he believes he gained a lot out of the camp experience. “Before this camp I had a rudimentary understanding of business and certain opportunities. I learned about how to find your niche, how do you look at an opportunity and seize it and use the correct branding and marketing to really succeed and advance your cause,” said Mason. 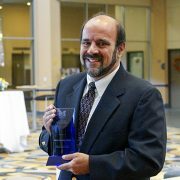 The School of Management will be hosting another summer camp next year for high schoolers. Blume said he hopes to see more student participants in the future. He also has a piece of advice for other young entrepreneurs who want to get started.